The task of moving office has so many facets to it that some people are put off and find the strain on their time and resources too much. But when you employ the services of a professional office removals company like CJS Removals then any office relocation can be a breeze; with flexible transportation and detailed planning your move could be fully managed for packing to setting up in your new offices. The important aspects of your move are often the most complicated, but things such as IT relocation can be taken care of by our team of professional movers. We use over 40 years of experience and are accredited with the British Association of Removers (BAR) to give you full confidence in our abilities, whether it’s packing boxes, protecting important electronics or simply getting the transportation right. We’ve previously helped the NHS and online retailer Ocado with their moves. Operating from Harrow, Pinner and Hampstead, we can organise and conduct your office move to anywhere in the UK. 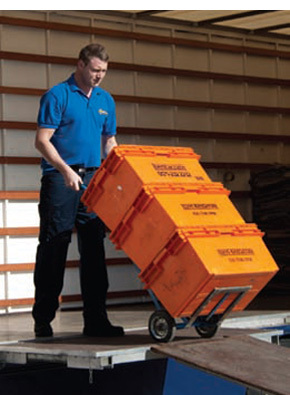 To take the first step in your important move, get in contact with us today, our friendly staff can talk you through our services and advise you on the best course of action to ensure minimal downtime. Our IT relocation service is designed to be as extensive and as flexible as your business requires. Our consultants can handle the move from start to finish, in line with your requirements or integrate seamlessly with your IT department, providing additional assistance where necessary to ensure the relocation creates the absolute minimum downtime. We take time to get to know your individual systems and networks, understanding your business individual requirements and criteria for the move, before putting together a strategy which will allow this integral part of modern business to operate without unnecessary disruption.